My friends and I are going camping this weekend. We intend to make it a comfortable experience at the beach side. We are super excited about the trip because of the sunny weather forecast. We could care less if we sit outside at the beach side while the sun beats us. No doubt that I am super excited about the trip however, I am a bit skeptical at the idea of leaving all my work materials behind and cruising around with friends all weekend long. For the camping, I intend to take along swimsuit, novels, sunscreen, drinks and this perfect no-fat rhubarb yoghurt. The rhubarb yoghurt is made with fresh rhubarb, ginger and zest of orange. Some of my friends are fat-free eaters hence, this is an ideal yoghurt that we can all calm our nerves with. Rhubarb, the key content of the yoghurt belongs to the plant family of Polygonaceae. It is popularly grown for its fleshy stalks known as petioles.Rhubarb is mainly stewed with sugar or used in making desserts, pies or savoury dishes.They are rich sources of Energy, carbohydrates, vitamins, calcium and protein. 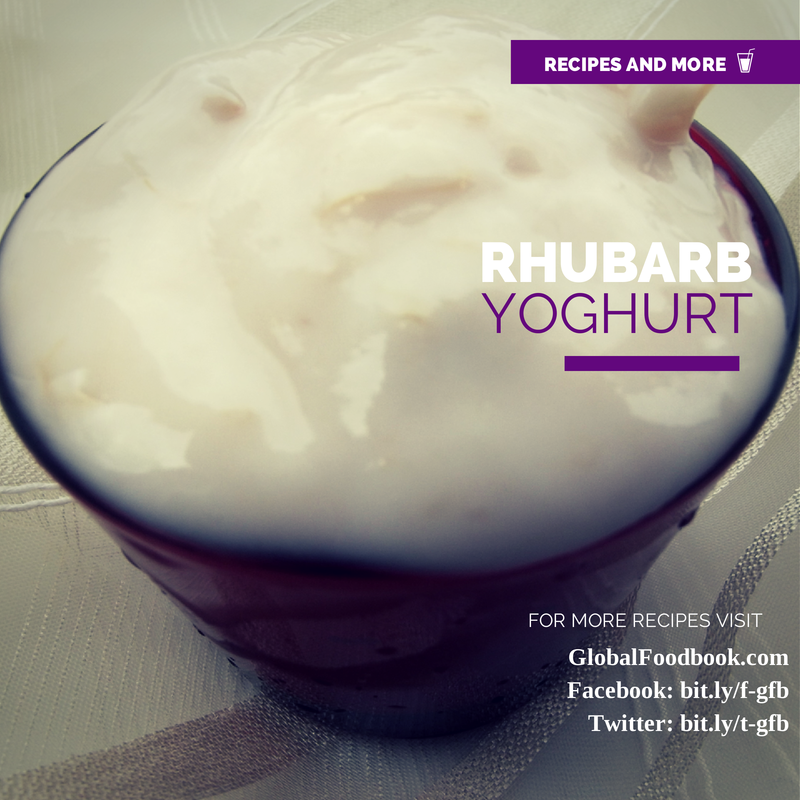 The rhubarb yoghurt recipe is very simple and quick, just follow the steps outlined by globalfoodbook to share a taste of it. Add sugar, orange zest & juice, ginger and rhubarb in a pot. Add 4ml of water, cover pot and allow to boil until rhubarb is tender. Add drops of vanilla extract & sugar into the natural yoghurt and mix. Then add the boiled rhubarb together and mix all properly. Refrigerate and serve cold or chilled.